People- and city-watching are amongst my favourite things to do when I’m visiting a new place. The crucial thing to start watching is finding a perfect spot to do so. Must be comfortable and it’s good when there’s an option of buying some sort of food or drinks (preferably both if you intend to spend there long hours). My latest discovery in Singapore had one more addition to being one of the greatest spots – it was a swimming pool. On the 10th floor of Naumi Hotel there is a small infinity pool, that provides great views of the Singapore skyline. We’ve spent a few hours there in the afternoon, had the pool to ourselves and I named it my favourite city-views-infinity-pool ever. There is also a bar (although I believe it opens at 4.30pm), of course, we had to follow the tradition of trying some of their cocktails. Served by a very chatty barman, our Mojito and Singapore Sling were quite strong (which means they didn’t skimp on alcohol). If it wasn’t a day before Chinese New Year, which we had already planned for the evening, I would have stayed in that pool until late. It would be a great spot to watch fireworks that were happening later on in the Marina Bay and to see colours of the city changing with the sun going down. This calls for a revisit. What I admired the most about our room (Habitat Room) was how cleverly designed and arranged such a small space can be. Shower and toilet are divided from the room by a glass wall, which becomes opaque by a touch of a button. Sink, mirror, fridge and some storage space are all in an island-like counter, which stands in the middle of the entrance area. There is also a big shelf, that is hidden in the wall between shower and bedroom area. You can find all the glasses, cups, Nespresso machine and a kettle in there. A tiny desk is also covering a power outlet, that is not only a universal one (so you can use any plug you wish) but also comes with cables for Apple devices and mini usb – yay for something for us, Android users. Opening drawers in the room is almost like a treasure hunt – finding all those thoughtful things is often surprising and you can find more things that you would expect. There is even a yoga mat waiting to be used and you can request a hair straightener to be delivered to the room. The bedroom area is decorated in a very sleep friendly way – no distractions, just a bed, soft carpet, wooden floor adding warmth, sheer curtains, earthy tones and a gorgeous pendant lamp that features the Naumi’s signature floral pattern. What’s very in line with my latest obsession and kept me dreaming about our stay at Naumi long before we arrived were two words that I saw in someone else’s review: champagne breakfast. So in the morning, I rushed downstairs to the Table Restaurant, where the breakfast is served and instead of anxiously waiting for my morning-usual coffee, I ordered myself a glass of champagne. Bliss. The day couldn’t be bad with such a perfect start. Then I was happy to check out what else is on offer. It’s a standard buffet style breakfast with the addition of eggs freshly cooked to your liking, fresh juices and some unusual extras – like the champagne or hangover curing tablets sitting right next to the coffee machine. We also had an early lunch at the Table Restaurant. Menu featured beautiful smooth spiced gobi & truffle soup and chilli cheese kulzza (pizza-like, full of cheddar with a nice chilli kick) for entree. Mains: murg angar chicken (marinated in a robust yoghurt and chilli spices) + tandoori prawn and tandoori mushroom + tandoori paneer tikka, served with roti and sides (cauliflower with peas, ginger and coriander, dal tadkewali lentils, brown and red rice pilaf). We truly enjoyed every bite. And to put a cherry on top – a satisfying and refreshing sugar-free desert: raspberry and coconut popsicle with chia seeds and berry compote (this is something I’ll try to recreate at home and will post a recipe soon). Restaurant is open to public. It’s worth checking out not only to enjoy the comforting Indian cuisine, but also to see the slick and stylish design of the place. Central location, just around the corner from the landmark Raffles Hotel, makes Naumi a great base for exploring Singapore. It’s easy and close to walk to many shopping centres, Singapore Art Museum, National Museum of Singapore, Marina Bay and many others. 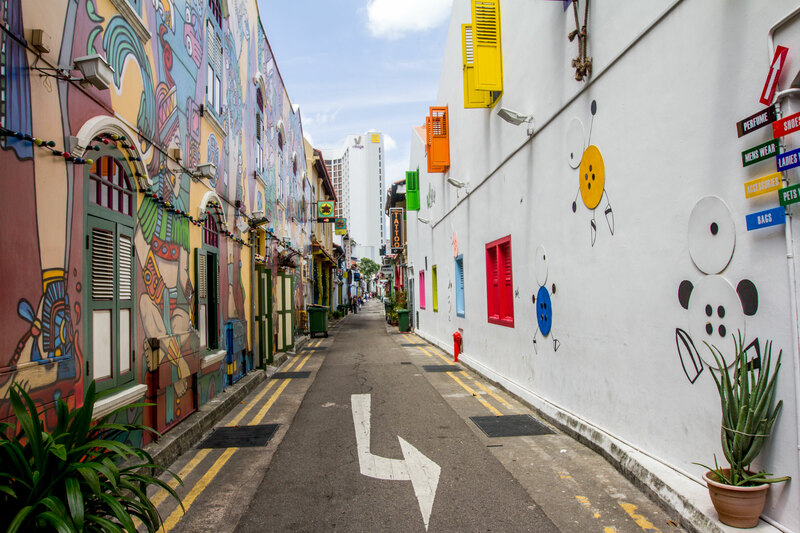 There is also a Museum of Toys just a few steps down the street and a colourful, worth exploring area – just off the Arab Street, you can find the most beautiful little lanes, with cafes and Eastern food restaurants. Exquisite boutique hotel, featuring only 73 rooms with a great rooftop pool, the most lovely and helpful staff and perfect location. Seems to be ideal for singles (there is a special ladies-only floor, separated from the rest of the hotel by a security glass door, for extra safety) and couples, not so much for a family stay with kids. For rates and reservations visit naumihotel.com. 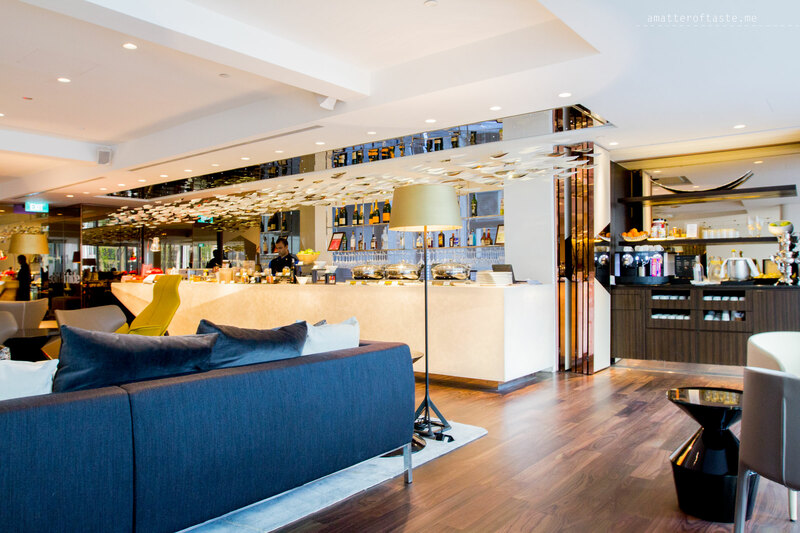 Our 1-night stay & lunch courtesy of Naumi Hotel. All opinions and photos are my own.